Well hello there! Long time no see. What have you been up to? 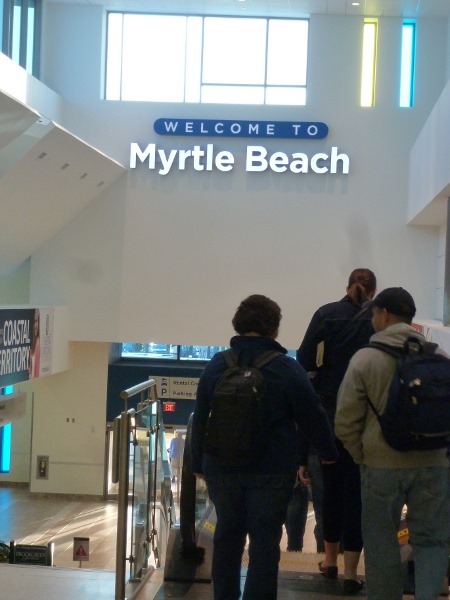 I just returned from an extended weekend getaway in Myrtle Beach. 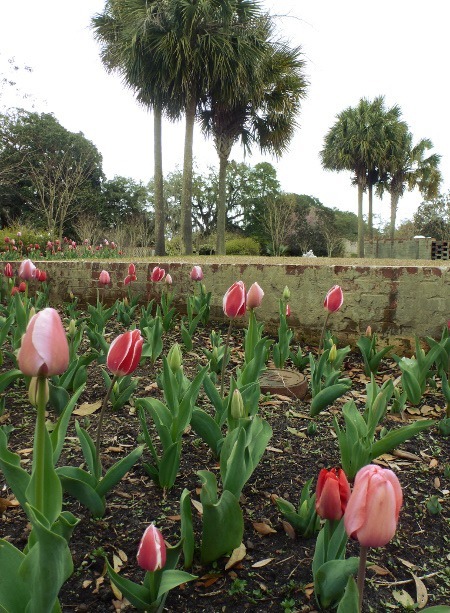 With dreams of escaping the gray and gloom that is Michigan in March, Five Cent Femme and I flew to South Carolina for a three-day weekend. Yep – Girls’ Weekend! Unfortunately the weather wasn’t quite what we had in mind, with temperatures mostly in the 50s, a couple brief periods in the mid-60s, and spotty rain throughout the weekend. But we still managed to fit quite a bit into our weekend. As always, I’m here to fill you in on all the Food From My Travels. First meal of the trip was at Cannoli’s Café, a well-reviewed, cute little shop featuring coffee, sandwiches, cannolis, and the like. 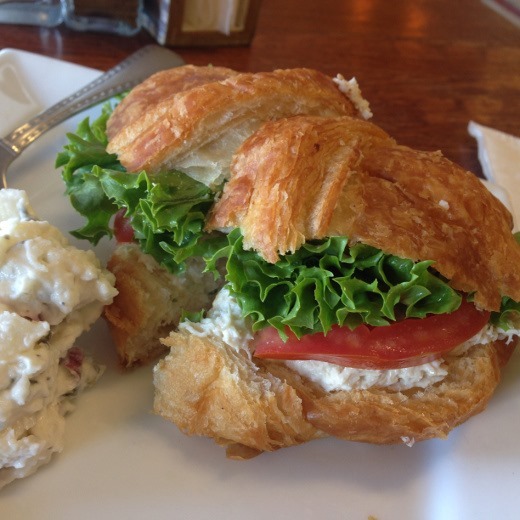 The chicken salad sandwich on a flaky croissant hit the spot. Barefoot Resort was our digs for the weekend. 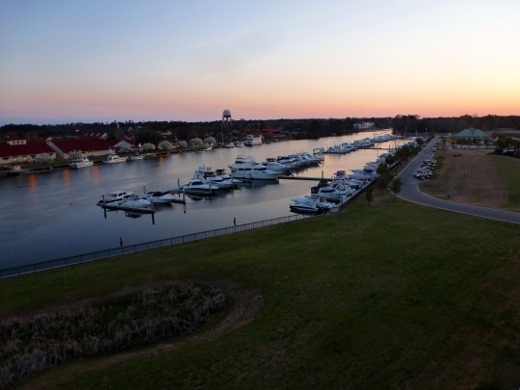 The resort, located in North Myrtle Beach, is located at a yacht club and also features golf onsite, as well as a shopping/dining complex. 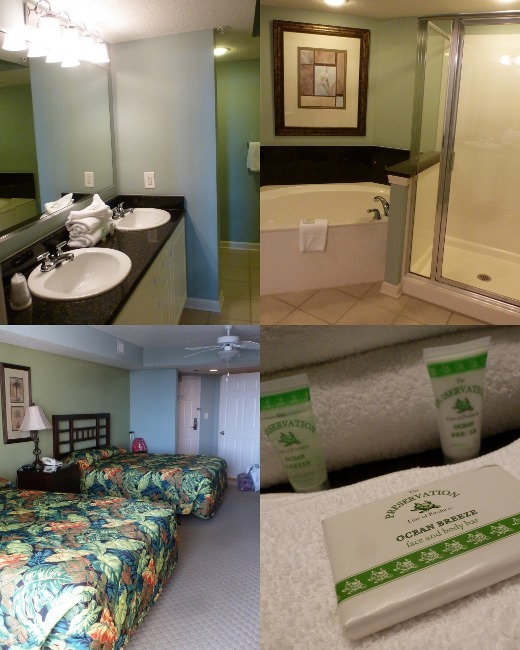 While condo units with kitchens are available, we stayed in a standard room, featuring a huge bathroom with a double vanity, and separate tub and shower, walk-in closet, and two queen beds. 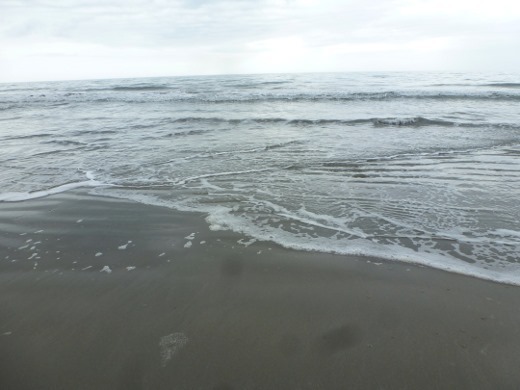 While we really liked the accommodations, we were less than impressed with the customer service (or lack thereof) received, and as a result, I probably wouldn’t recommend the resort. 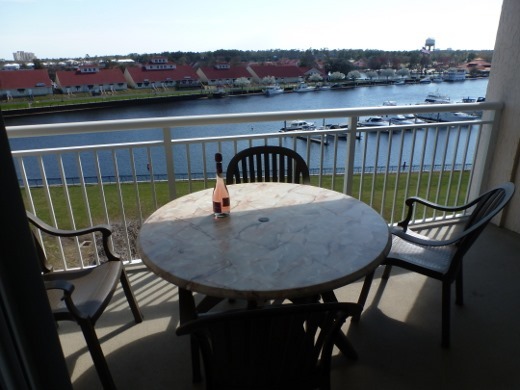 By far, the best part of our room was the AMAZING balcony overlooking the canal and yachts! Totally spent some extremely blissful hours out here drinking wine. King Kong Sushi was our first dinner destination. Loved the sushi though! 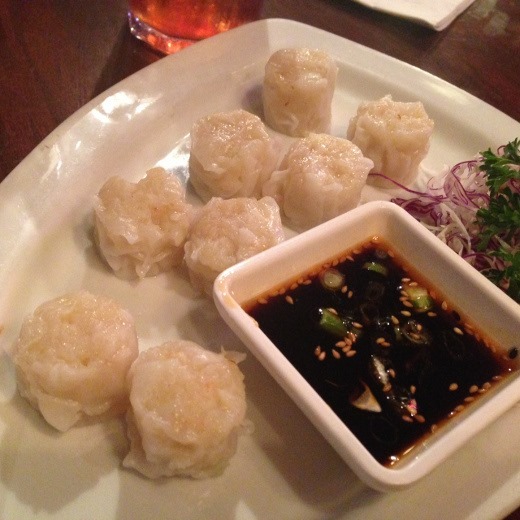 I ordered two spicy rolls, of course. The next morning, in our rental car we drove to the Huntington Beach State Park located in Murrells Inlet, South Carolina. 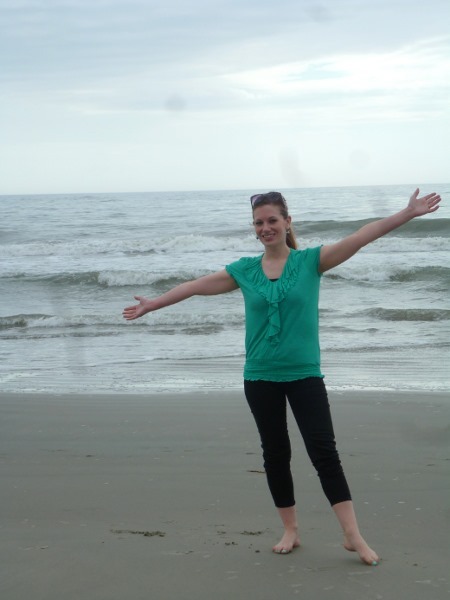 The beach was gorgeous and I was THRILLED to be there after this crazy winter! Number One Vacation Goal: Dig toes in sand. Parody on the movie Spring Breakers. Have you seen that movie?? It’s so bad and effed up, that you just really need to experience it to believe it. 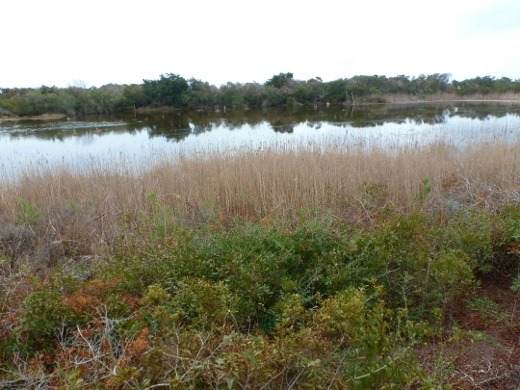 The state park also features hiking trails through the marsh. Just watch out for dog shiz. Take Five Cent Femme’s word for it. 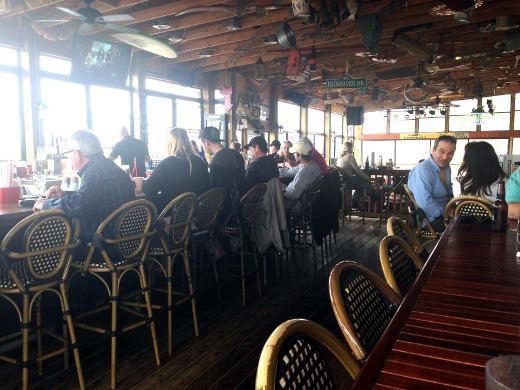 After hanging out at the State Park for a couple hours, it began to rain, so we packed up and headed to the Marshwalk for lunch at the Dead Dog Saloon. The restaurant has a huge, sunny bar area overlooking the marsh, which is pretty cool. 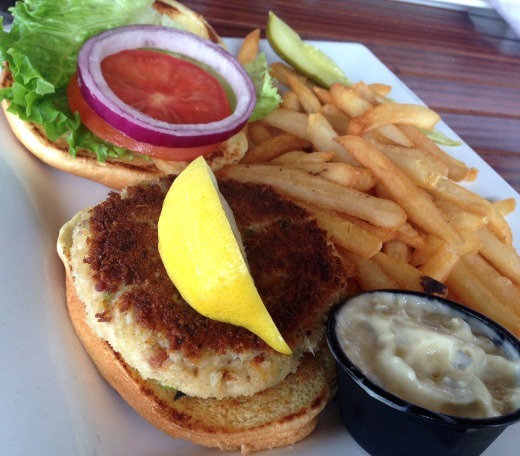 I had a tasty crab cake sandwich. 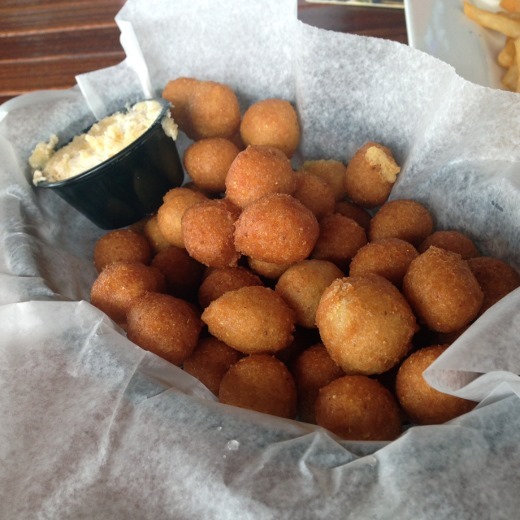 We also nibbled on a complimentary basket of hushpuppies. Heck yeah. In the area, we also checked out some of the awesome waterfront homes. Want! 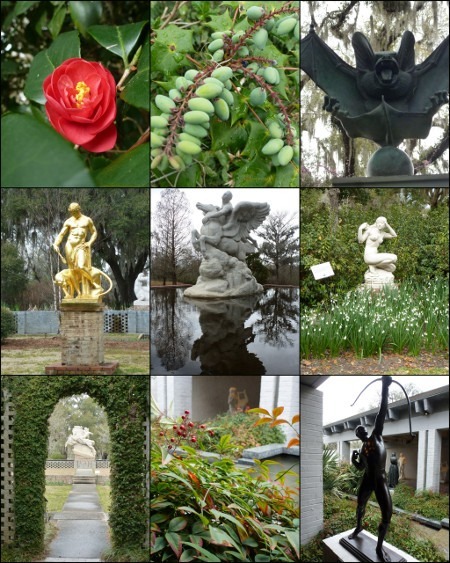 The rain held off for a couple hours after lunch, and so we headed to the lovely Brookgreen Gardens for the afternoon. Pretty cool place! In love with these trees. Aren’t they romantical? Palm trees AND tulips! Too things I have not seen in far too long! 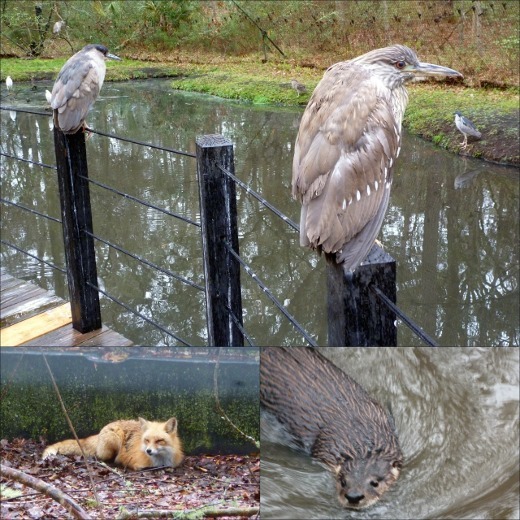 Brookgreen Gardens also has a small zoo! We visited during the last hour of they day they were open (4-5pm) and had the place to ourselves! It was also raining slightly during our visit, which might have scared off other visitors. But not us. We are hardy Michiganders. At the zoo, you can get up close and personal with the birds in the aviary. So cool! We also loved the foxes, and the otters, of course! 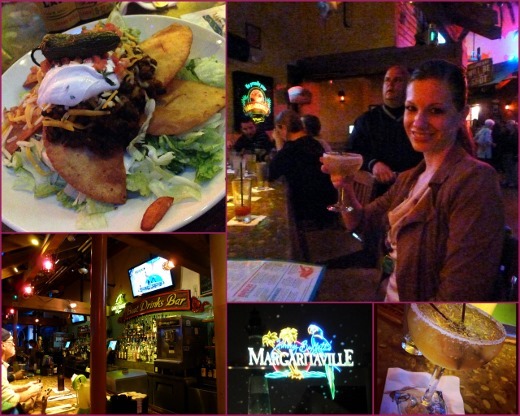 Our Friday night dinner, in classic tourist fashion, was at Margaritaville! We scored two prime seats at the bar and watched the Michigan basketball game (which we won, against Tennessee), which was pretty much, well, a blast. Most of the people down south were rooting for Tennessee and so the win was especially sweet! The two of us totally wailed out The Victors after our win! For dinner I had a surprisingly great Taco Salad, and margaritas were enjoyed as well! Good night, good night. That’s the end of Part I! I’ll be back soon to wrap up our getaway recap. Haha, my travel companion was confused too! They’re fried cornmeal batter, basically. Fried carbs… Apparently these are more common in the South. 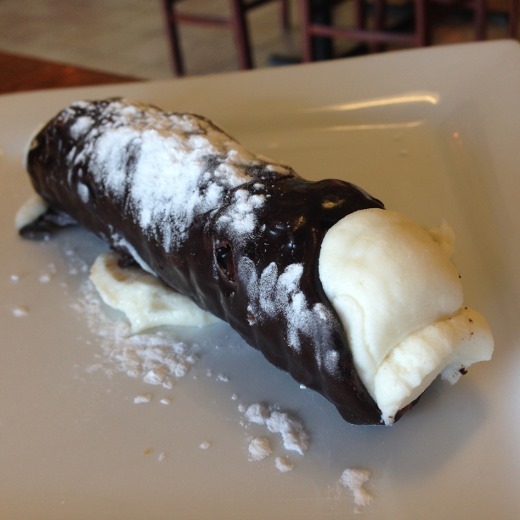 That chocolate-covered cannoli looks delightfully sinful. 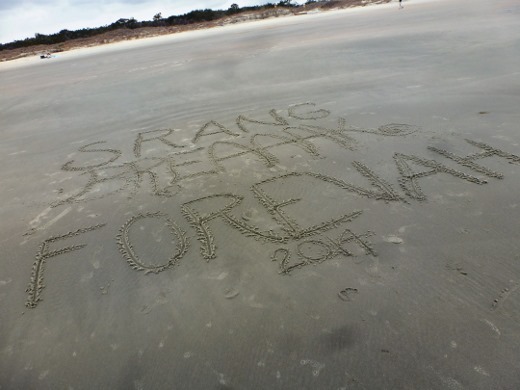 Looks like you enjoyed Myrtle Beach! 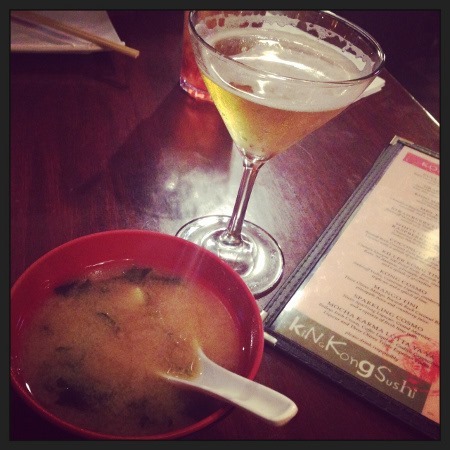 King Kong Sushi is my favorite! 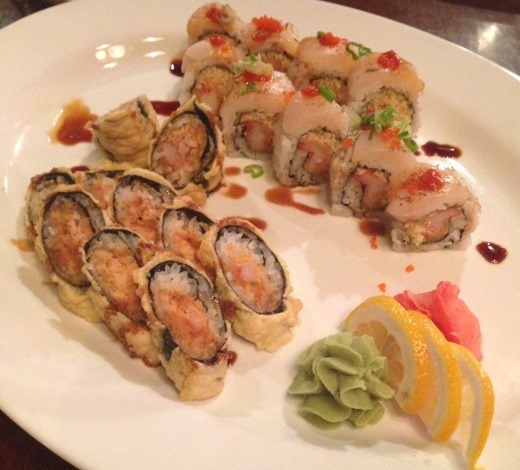 I love the Hurriane Roll!. 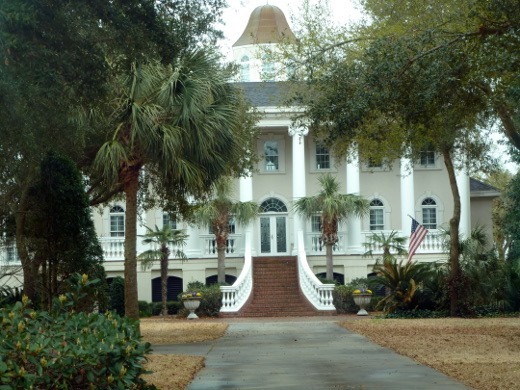 You can find some local southern restaurants a little inland in Conway, SC too! (Rivertown Bistro, Dillybeans, and Cradys to name a few!) If you’re ever in the area again you should check out my blog where my friend and I (transplanted locals) explore the Myrtle Beach area. I live in the area, but had not been to most of the places you ate at, so I’ll have to try them out. Dead Dog Saloon is in my neck of the woods and have been there often. 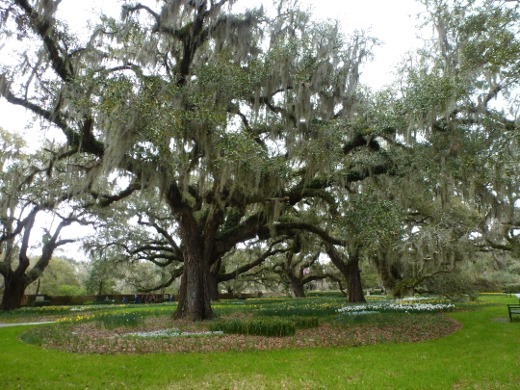 I do have a correction for you, It’s Brookgreen Gardens, not Brookstone. I enjoyed reading your visitor thoughts. Come back soon!